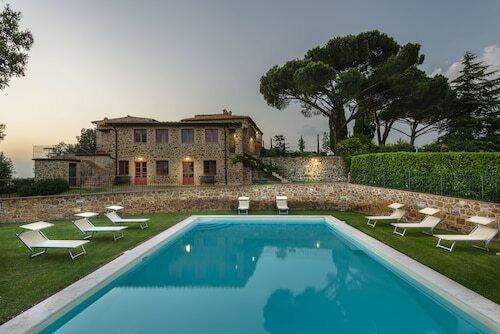 Situated in Montalcino, this golf farm stay is 1.9 mi (3 km) from Fortress of Montalcino and within 12 mi (20 km) of Abbazia di Sant'Antimo and Horti Leonini. Museo del Tartufo and Chapel of our Lady of Vitaleta are also within 16 mi (25 km). Situated in a rural location, this hotel is within 1 mi (2 km) of Fortress of Montalcino and Civic and Diocesan Museum of Sacred Art of Montalcino. Poggio Antico is 2.4 mi (3.9 km) away. 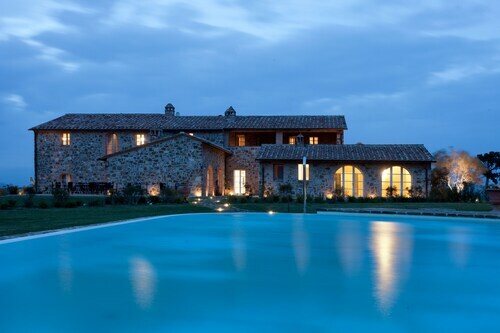 Situated in Montalcino, this hotel is 0.9 mi (1.4 km) from Fortress of Montalcino and 2.4 mi (3.9 km) from Poggio Antico. Museum of Brunello and Abbazia di Sant'Antimo are also within 9 mi (15 km). Situated in Montalcino, this property is 1.8 mi (3 km) from Fortress of Montalcino and 1.9 mi (3 km) from Civic and Diocesan Museum of Sacred Art of Montalcino. Museum of Brunello and Poggio Antico are also within 6 mi (10 km). Situated in Montalcino, this farm stay is within a 15-minute walk of Fortress of Montalcino and Civic and Diocesan Museum of Sacred Art of Montalcino. Abbazia di Sant'Antimo and San Giovanni d'Asso Station are also within 12 mi (20 km). 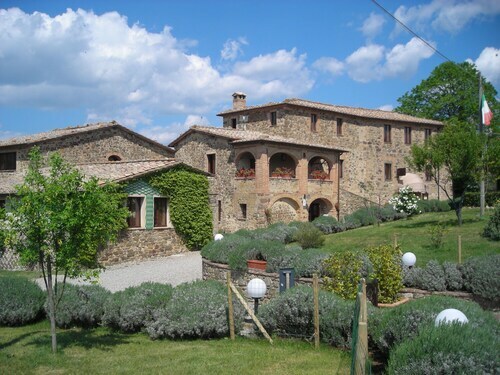 Situated in a rural location, this property is within a 15-minute walk of Fortress of Montalcino and Civic and Diocesan Museum of Sacred Art of Montalcino. Museum of Brunello is 2.5 mi (4 km) away. Situated in Montalcino, this property is 1.6 mi (2.5 km) from Fortress of Montalcino and 1.6 mi (2.6 km) from Civic and Diocesan Museum of Sacred Art of Montalcino. Museum of Brunello and Poggio Antico are also within 6 mi (10 km). 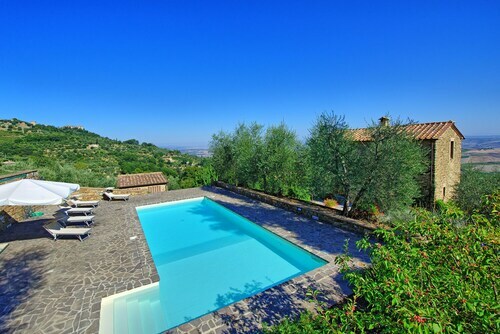 Situated in Montalcino, this property is within a 10-minute walk of Fortress of Montalcino and Civic and Diocesan Museum of Sacred Art of Montalcino. Museum of Brunello is 3 mi (4.8 km) away. Situated in Montalcino, this apartment building is close to Fortress of Montalcino, Civic and Diocesan Museum of Sacred Art of Montalcino, and Museum of Brunello. Local attractions also include Poggio Antico. 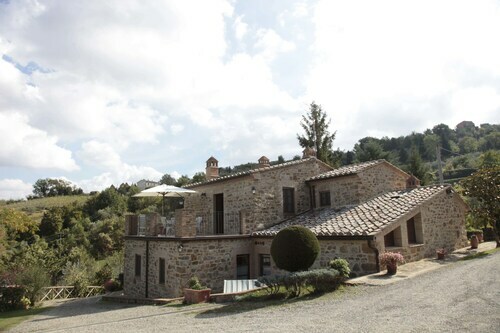 Situated in a rural location, this farm stay is 2.8 mi (4.6 km) from Fortress of Montalcino and within 9 mi (15 km) of Horti Leonini and Abbazia di Sant'Antimo. Chapel of our Lady of Vitaleta and Piazza Pio II are also within 12 mi (20 km). There is nothing wrong with taking some grown-up downtime during your travels. Drop the kids off with some friends or family and enjoy a few hours at Tenuta Greppo Franco Biondi Santi. You'll be pleased that you made the journey to its home in Montalcino, 95 miles (153 kilometers) outside of Rome, the national capital. If you're looking to be in the vicinity of Tenuta Greppo Franco Biondi Santi, reserve your room at one of 11 possible accommdations that are located within 2 miles (3 kilometers) of the site. Lots of travelers recommend the Agriturismo Le Ragnaie, 1 mile (2 kilometers) away, the Residenza Palazzo Saloni, 1 mile (2 kilometers) away, and the Hotel Dei Capitani, 1 mile (2 kilometers) away. Very close by, you will find hotels to match even the most restrictive budgets. A mere 0.3 miles (0.5 kilometers) away is the Piombaia, and you'll find the Il Barlanzone 1 mile (2 kilometers) away. Do you have refined tastes? If so, you'll find a few upmarket hotels located a quick drive away. You may wish to check out the Rosewood Castiglion del Bosco and Castello di Velona SPA Resort & Winery. You never have to walk farthar than Osteria La Crocina (Loc. Crocina, 1, Montalcino) to find a good restaurant. The only things you need to worry about are sitting, having a drink or two and having a great time at Road Café (Loc. Il Pino, Montalcino). It's only 0.6 miles (1.0 kilometer) away and a frequently-visited place once the sun has set. Plan a visit to Fortress of Montalcino and learn about the secrets of this important location. Renoir, the acclaimed French painter, once said that to understand art, you have to go to a museum and look at it. Why not take his advice and go to Civic and Diocesan Museum of Sacred Art of Montalcino while you're in the area? If you love learning, Museum of Brunello might be worth checking out. Train your taste buds with the ambrosial notes of the wines showcased at Poggio Antico. See a little of the daily life of a spiritual community at Abbazia di Sant'Antimo. How Much is a Hotel Room in Tenuta Greppo Franco Biondi Santi? 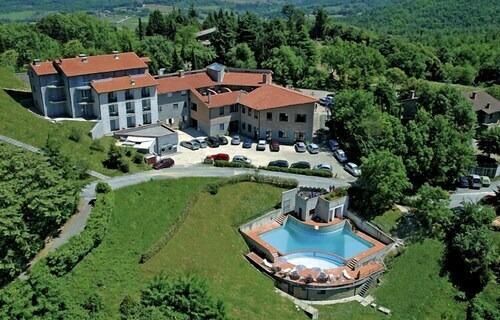 Hotels in Tenuta Greppo Franco Biondi Santi start at $92 per night. Prices and availability subject to change. Additional terms may apply. Beautiful Private Villa With Private Pool, Wifi, Patio, Washing Machine, Panoramic View and Park..